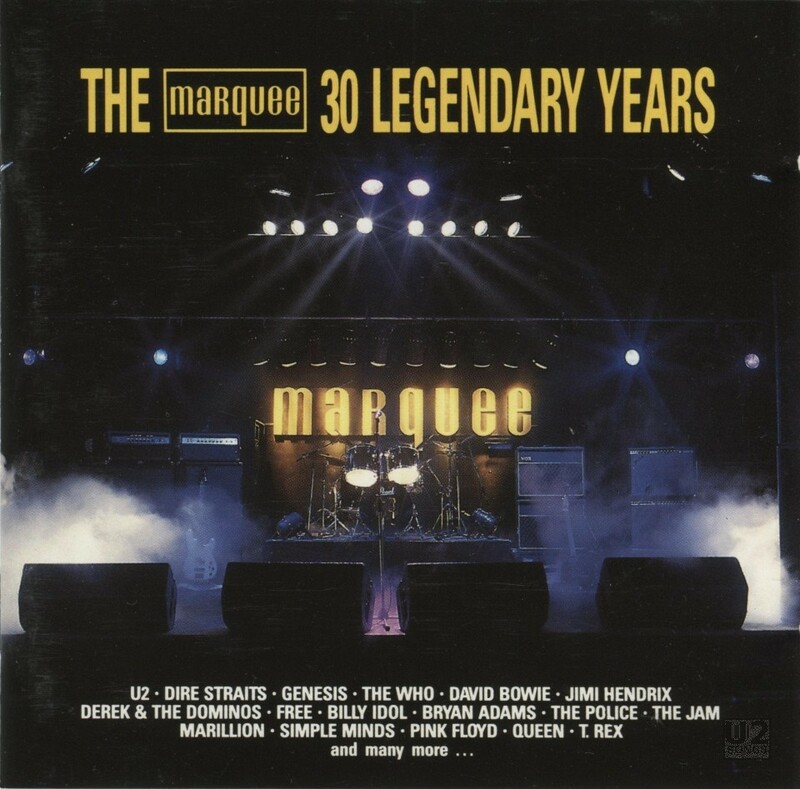 The Marquee was a legendary club in the British Music Scene, and this compilation tries to celebrate that history by compiling a number of songs from artists who had played The Marquee in London over the years. Rather than collect live tracks, or even collect songs from the acts at the era they would have played in the club, this collection instead seems haphazard at best. For instance the U2 song included here is “Pride” when U2 last had played the Marquee in November 1980, and “Pride” would not have existed at that point. The version of “Pride” included here is the shorter studio version of the track. Sleeve Design: JL & GL (Graphyk) Photography: Peter Ashworth.